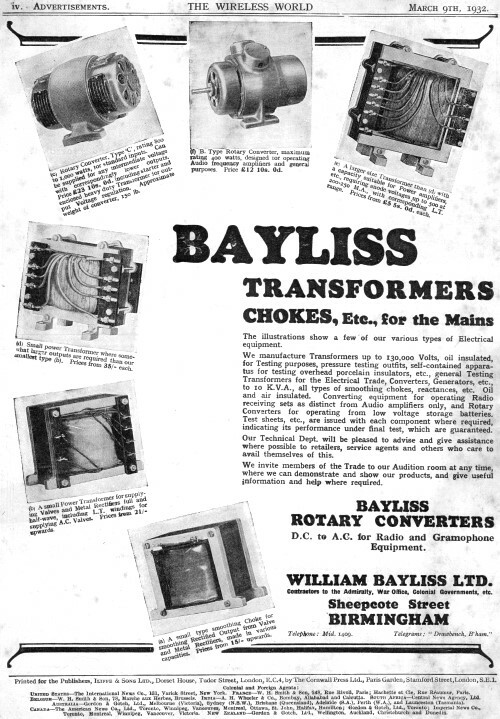 This advertisement for transformers, coils, chokes, and rotary converters from William Bayliss Ltd., on Sheepcoat Street in Birmingham, England, appeared in the March 9, 1932 edition of The Wireless World. 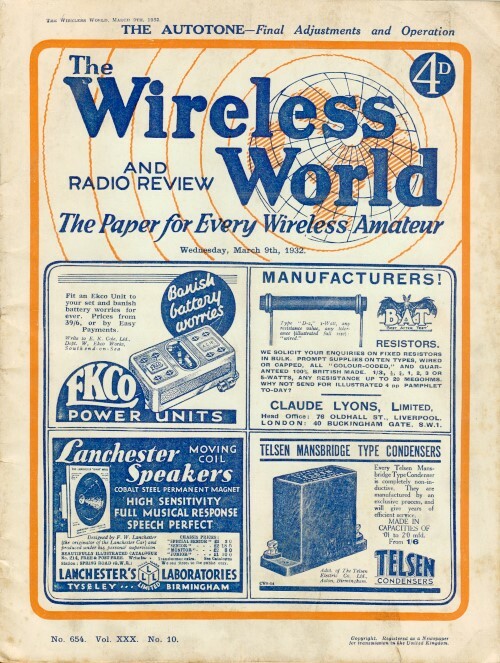 For those not familiar with it, The Wireless World was the UK's premier electronics magazine of the day. I only have this one edition, but will work on getting more soon.